Deliver our free talk, “Attention to Detail”, it’s designed to instill the importance of that to your team. If you build a culture around the small things, the big things just kinda sort themselves out. TalkDrawer is designed to help leaders grow – and to grow your community and business with you. We do this by removing the biggest constraints to public speaking; time, content, and often a lack of confidence. 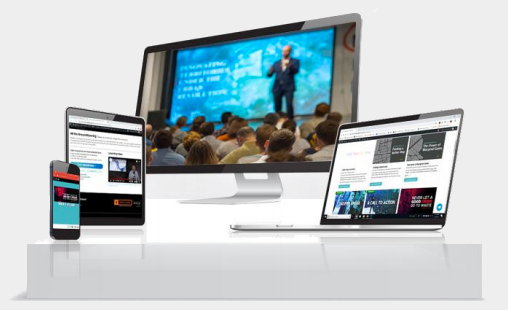 By offering a series of pre-created slide decks, each complete with tutorial videos, supporting content and interactive discussion points, packaged using our 21 years of leadership in the presentation field we empower you, the leader to do just that. Lead. They cover a range of important topics such as service, leadership, innovation, and marketing. Watch our tutorial videos and use our supporting content to empower you to present TalkDrawer's pre-created talks like a pro. After you deliver a talk (like a pro we might add), get feedback from your team to monitor the effectiveness of the content and watch yourself grow as a leader. We have a wide variety of talks and slide decks that cover a range of topics such as service, leadership, innovation, and marketing. TalkDrawer is designed around you delivering a talk every week to your team. We'll keep fresh content coming, every month. Each talk comes with a tutorial video to help teach you how to present like a pro. Each talk comes with a wealth of supporting content to further help you deliver a clear and concise presentation to your team. We'll email a survey to your team after each talk to get feedback on your delivery, the relevance of the content, as well written commitments to actions they will take. Create an organisational conversation with your team to both teach, and learn from them. Starting at $23 per month. No up-sells, no contracts, no lock-ins. Sign Up today. 30 days free. No Credit Card required. Please check your email and click the link provided to confirm your email address so we can send you a login code once we're ready! The link to your free talk is on it's way to your inbox. Enjoy!